You heard that iRobot makes the best robotic vacuums, but you’re not sure which Roomba to buy? Overwhelmed by the array of models? Looking for the best Roomba for pets? Then you’re on the right page. This ultimate iRobot Roomba comparison with a Roomba comparison chart included will set the different models against each other so that you can make an informed choice. After all, you don’t want to spend that much money on something that doesn’t live up to your expectations. What's the difference between Roombas? The critical differences between iRobot Roomba robotic vacuums apply to these features: suction power, runtime, style of the brush roll, filtration, dirt cup capacity, and how advanced the navigation is. You can tell the differences between the products by comparing the named features. 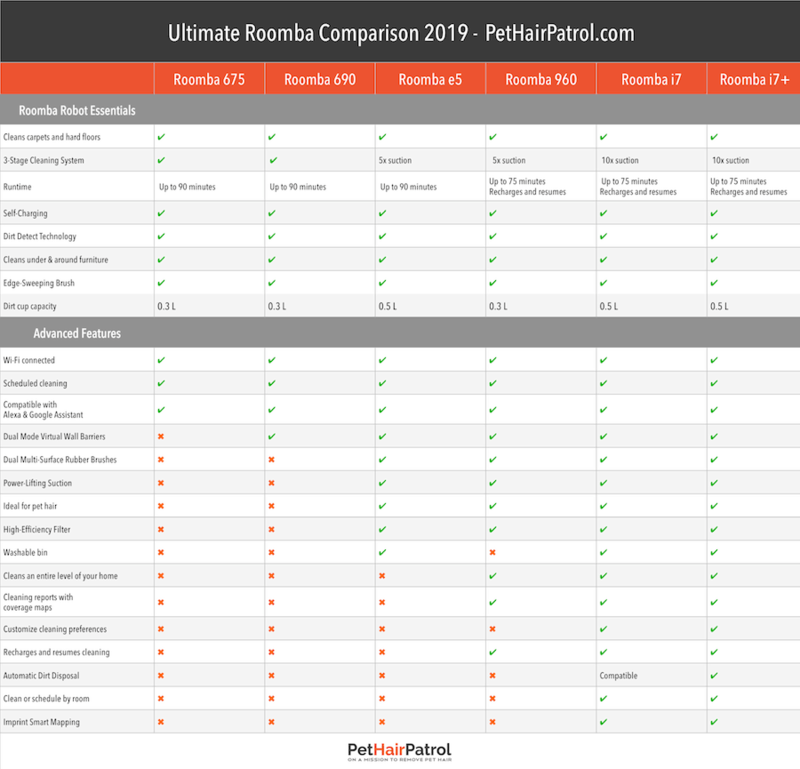 The easiest way to compare different Roomba models is to have a look at the comparison chart below. 2.3 Roomba 675 or Roomba 690? Which Roomba to buy? 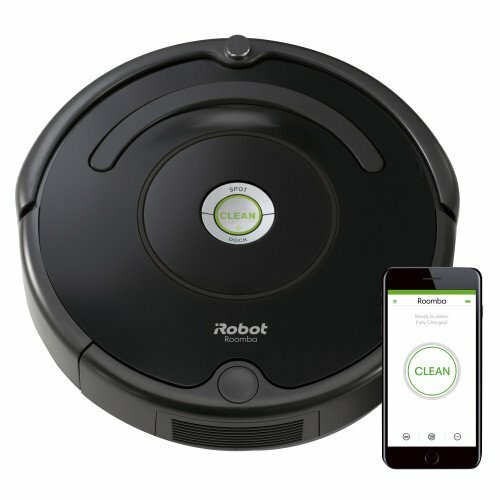 4.3 Roomba i7 vs. Roomba i7+? Which one to pick? 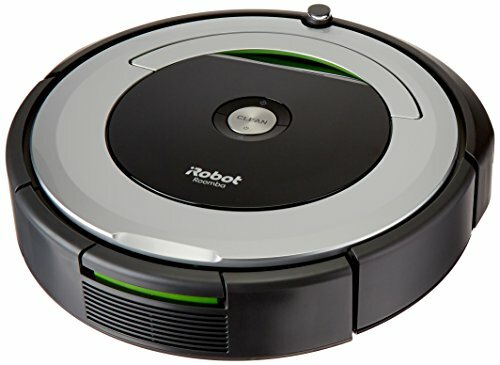 4.4 Roomba 960 vs. Roomba i7? Which Roomba to buy? 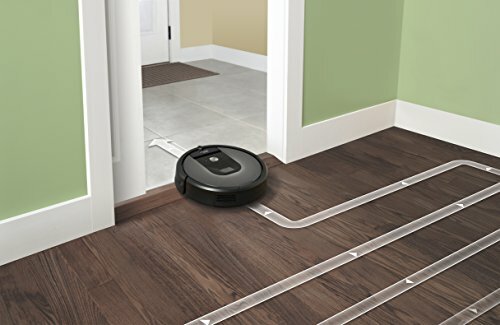 4.5 Roomba 960 vs. 980? Which one to pick? 6 Neato vs. Roomba. How does Neato compare to Roomba? A robot vacuum cleaner is one of those things you don’t necessarily need, but you probably won’t regret buying. Numerous satisfied owners are saying that they just wish they had bought theirs earlier. 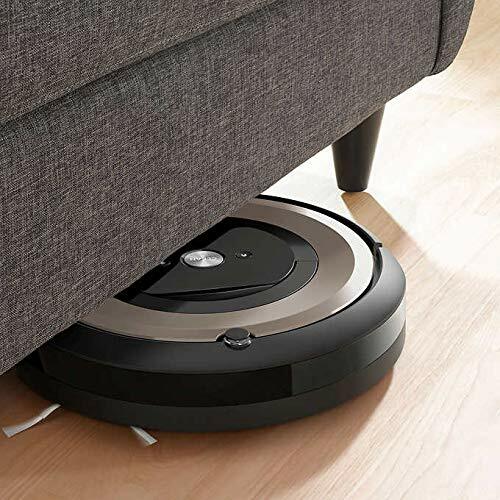 With the release of the new i7 vacuum, Roomba has yet again taken robotic vacuums to the next level. 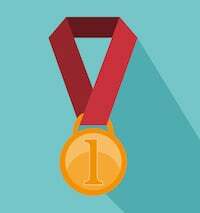 There are so many products now, it’s impossible to compare Roomba models to choose the one that fits your budget and needs without doing extensive research. But you’re in for a treat! We already did the hard work. We used more than 50 hours for detailed research to compare Roomba models and to create this ultimate iRobot comparison article. Information on the Roomba website can often be a bit vague and unclear, so we used many different sources to pull together all the critical information on their products. To keep this guide relevant and up to date we have not included products that have been discontinued. Because in this product category improvements in design and technology roll out fast and frequently it makes no sense to invest in a robot that quickly becomes outdated. 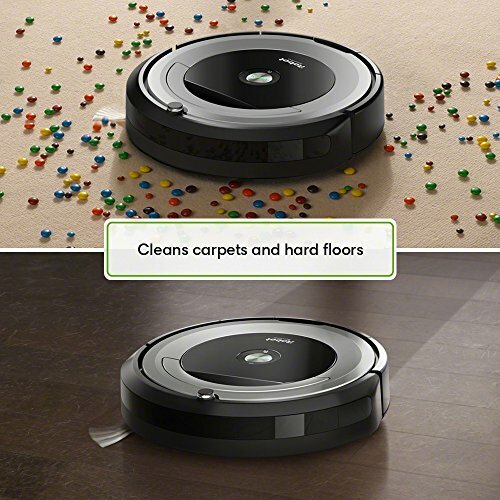 This iRobot comparison sets Roomba vacuums side by side so that you can easily see the differences between different Roomba models. It will save you time and money by helping you find the vacuum that meets your needs without spending a cent too much. 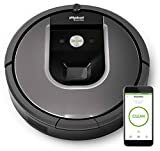 Recommended for someone looking for a basic and inexpensive robotic vacuum with wifi connectivity and excellent value for your money. Click here to see the price. Recommended for someone looking for something a bit more than the basic robotic vacuum but not ready to invest in one of the top options. Especially recommended for pet owners. Click here to see the price. Recommended for someone looking for a robot vacuum that has excellent cleaning performance and that will basically run itself with minimal assistance from your part. Click here to see the price. Secondly, here are the basic differences between the models to help you get an overview of how the models relate to each other. It will help you compare iRobot models. 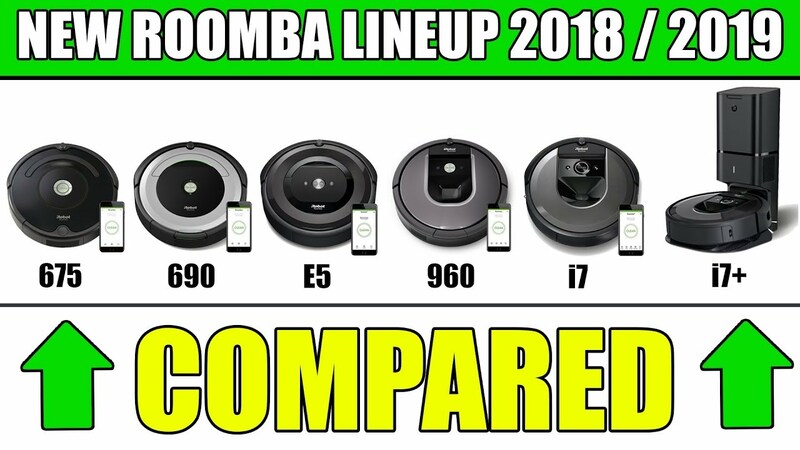 Full Roomba comparison chart including all the current Roomba models and the differences between them. This iRobot comparison gives you a good idea on how the vacuums in the current Roomba lineup compare to each other. But since you are making a significant investment, you probably want to know how these vacuums compare to each other in practice. Below we have gathered all the essential information on each product so that you can rest assured you have made the right choice. If you’re looking for a Roomba robotic vacuum, but you’re on a tight budget Roomba 675 could be an excellent choice. It has enough power and all the necessary features to make most users happy, but the price is very reasonable. Considering this vacuum has a long runtime, great filtration, and excellent performance, it really gives value for your money. It has some shortcomings like a basic navigation system and a non-rubberized brush roll, but a few drawbacks should be expected at this price point. It is the successor of the affordable Roomba 614 but added with wifi connectivity. 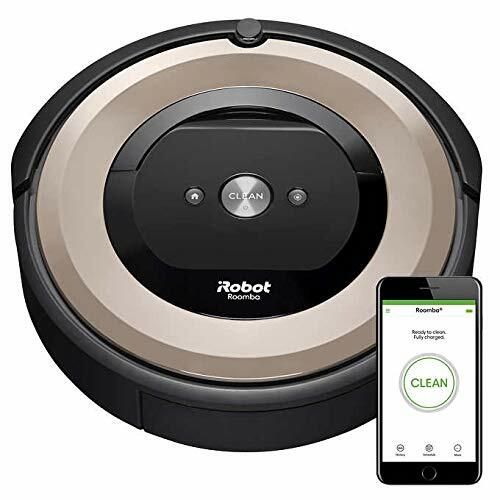 If you compare it to Roomba 690, which is slightly more expensive, you will notice they are pretty much identical except for the fact that 675 does not come with a virtual barrier (which can be bought separately if necessary). Roomba 675 continues with the same round design, and stylish look Roomba vacuums are known for. It has a soft bumper covering the front half and a practical handle for picking up the vacuum. 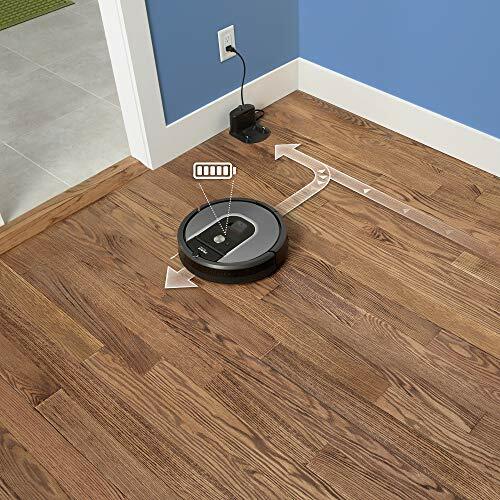 The Roomba 675 has a 1.800 mAh lithium-ion battery that gives the vacuum a battery life of up to 90 minutes, after which the robot returns to the dock for charging. Reaching a full charge takes 2-3 hours. The system is pretty basic, which means the vacuum will bump into objects and continue. The navigating pattern is also quite random, which is not as efficient as the logical cleaning pattern of more advanced robots. Although the approach to cleaning is pretty random, it does do a good job at thoroughly cleaning the whole area. Intelligent sensors enable the robot to navigate around and under the furniture. The robot is just 3.6 inches tall, which means it can access hard-to-reach areas such as under sofas, beds or kitchen cabinets. Cliff Detect sensors notice stairs and drop-offs protecting your vacuum from tumbling down a flight of stairs. 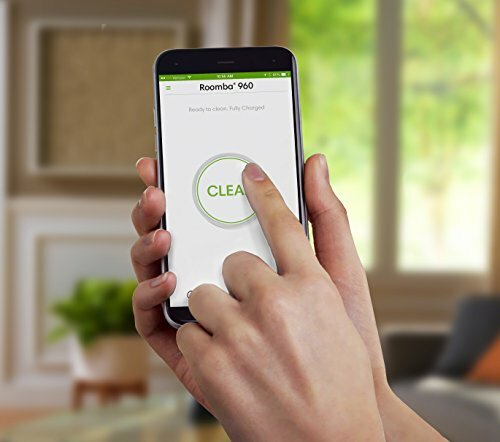 With the iRobot HOME app, you can control the robot and schedule cleanings from anywhere. 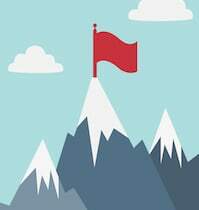 The app is easy to use, and you can access tips and support through it. When it's time for some maintenance, you can easily follow the how-to-videos on the app. The robot is also compatible with Amazon Alexa and Google Assistant. Just use voice-activated control and ask Alexa or Google assistant to start or stop your robot. Setting the robot up is easy. If you don’t want to use the app, you can just charge it and hit ”clean.” To use the app, you will have to install the iRobot HOME app on your smartphone and pair the robot with your wifi network. The instructions are simple, and even an inexperienced user should be able to do this in 10 minutes. With the app, you can start and stop the cleaning, and ask the robot to return to its Home Base. You can also view the cleaning history and schedule your robot to clean up to 7 times each week. The wifi connectivity is a huge bonus in a robot at this price range. If you have Google Assistant or Amazon Alexa, you can also use voice commands to start and stop cleaning. The Roomba 675 doesn't come with a Dual Mode Virtual Wall Barrier, but it is compatible if you decide to purchase one separately. This is the only way to restrict the vacuum from entering rooms or specific areas. If you already know you are going to be needing one, check out Roomba 690 that has one virtual barrier included. The 675 comes with a High-Performance AeroVac filter. It is not quite as effective as the previous Roomba AeroForce filtration system, and it is not a HEPA filter, but the exhaust air is very clean and the system does effectively remove most particles. The system is not sealed, which is why it is not a True HEPA filtration system. If you suffer from allergies, you might want to opt for the Roomba e5 with HEPA filter, but for other households, the AeroVac filter is more than adequate. 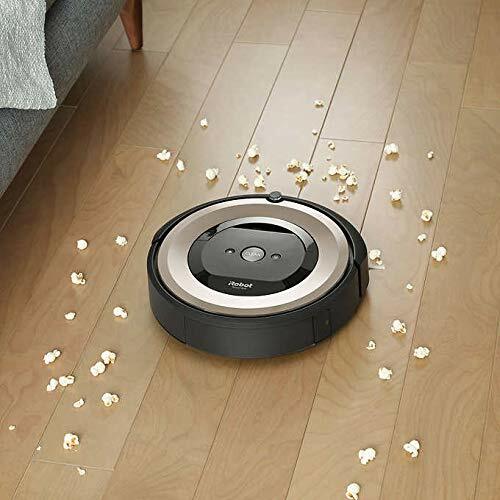 The Roomba 675 has what they call a 3-Stage Cleaning System: the robot uses the Dual Multi-Surface Brush, Edge-Sweeping brush and strong suction to pick up everything from fine dust to large particles. The Auto-Adjust cleaning head automatically adjusts its height to keep the brush rolls in firm contact with the surface when the robot moves from one type of surface to another. This feature will ensure excellent results on both hard floors and carpets. It has two brush rolls: one with blades which are designed to loosen the dirt, and another one with stiff bristles which then picks up the loose dirt. The bristle style brush roll enables a lower price point, but it is not as effective as the rubberized brush rolls in models like e5 and i7. The robot also has an Edge-Sweeping Brush to reach those edges and corners. It is specifically designed at a 27-degree angle to sweep that dust and debris away from the sides and towards the suction. In addition, the DirtDetect Technology uses sensors to recognize high-traffic areas and provides additional cleaning for those dirty spots. Testing how Roomba 675 performs on different surfaces. This picture was taken before the test. And this after the test - the results are convincing. For top performance, you should empty the dirt bin regularly and periodically replace the filter. The maintenance is pretty simple, but you will have to factor in the maintenance costs that you can expect to be around 30USD per year if you follow the recommended maintenance schedule and replace parts accordingly. The Roomba 675 won’t completely replace thorough vacuuming, but it will significantly reduce the work you need to do to keep up a clean home. Many users consider this product perfectly priced for the benefits it offers. It doesn’t clean 100%, but it lets you skip the daily vacuuming and sweeping in homes with pets or kids. The 675 doesn’t come with all the bells and whistles, which is why it’s not the ideal choice for anyone looking for the ultimate robot vacuum. However, it is a reasonably priced product with all the necessary features to helps you maintain the cleanliness between vacuumings. If you have a limited budget but you are too busy to vacuum daily, this vacuum is perfect for you. It’s a pretty basic budget option, but it will get the job done. Recommended for someone: looking for a lower midrange robotic vacuum that has all the necessary features like wifi connectivity, virtual wall barriers, scheduled cleaning, and long runtime. Roomba 675 and 690 are basically the same product with small differences in appearance and the fact that 675 does not have a Dual Mode Virtual Wall Barrier included. Both vacuums offer excellent value for money as they have many of the essential Roomba features but a reasonable price. If you want a top-notch robotic vacuum, you should check out the more advanced Roomba models like e5, 960 and i7. However, if you want a functional robotic vacuum with fair pricing Roomba 675 and 690 are good choices for you. The 600 series does not have all the bells and whistles, but it does offer fantastic cleaning results and ease of use. It has many features that many other vacuums from other brands in this price category don't have like scheduling, high-quality filters, wifi-connectivity, virtual barriers, and a long runtime. With these functions, it offers more than you would expect with the price you pay. You can see more images and the latest price of Roomba 690 by clicking here. Roomba 690 has the same round appearance we are used to seeing from iRobot vacuums. The design is sleek and stylish, and it has a practical handle for carrying the vacuum and a soft bumper to protect delicate items at your home. The Roomba 690 has a 1.800 aAh lithium-ion battery and an excellent runtime of 90 minutes. When it runs out of power, the vacuum returns to the Home Base to charge itself. Reaching a full charge takes 2-3 hours, after which the vacuum does not resume cleaning like more advanced robots do. This is a small shortcoming, but something that isn’t a deal breaker in smaller homes. However, if you have a large house, you might want to consider a robot with a longer runtime or the ability to resume cleaning after charging itself. The Roomba 690 uses the iAdapt 1.0 system to navigate its way around the home. This is the most basic navigation system from Roomba with more advanced models using iAdapt 2.0 and iAdapt 3.0. Because the system is relatively basic, the vacuum will bump into objects and use that as feedback to navigate around objects. Also, the cleaning pattern is quite random which makes it less efficient than robovacs that map their surroundings and calculate the optimal way to clean in straight lines. Although the navigation system is not as advanced as in more expensive models, the cleaning results are excellent, and the vacuum does seem to find it’s way around. 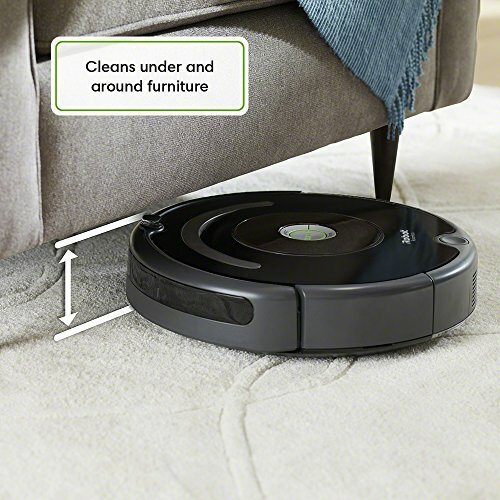 The 690 has wifi connectivity which means you can use the iRobot HOME application on your smartphone to remotely control the vacuum. The app is easy to set up and use. You can use it to control the vacuum, schedule cleanings and to watch videos on maintenance. You can also find tips and contact iRobot support through it. You have three ways to control the Roomba 690: physical buttons on the robot, the iRobot app or voice commands if you have Amazon Alexa or Google Assistant. You can also use the Dual Mode Virtual Wall Barrier that comes along. The easiest way to start a cleaning session is to push one of the three buttons on top of the vacuum. The robot will start vacuuming, but without the app, you can not schedule cleanings or check the cleaning history. To use the app, you just install the iRobot HOME application on your phone and connect the vacuum. Setting up the connection is fairly easy and intuitive, and even an inexperienced user should be able to do it in less than 10 minutes. With the app, you can control the robot, schedule up to 7 vacuuming sessions each week and view the cleaning history. In addition, you can contact iRobot support and watch how-to-videos. In this price category, wifi connectivity is a nice bonus as some other robots still don’t have this feature. It’s also worth noting that the wifi connection on Roomba vacuums is reliable and the robot does not drop the connection which has been a problem with some other vacuum brands in this price range. The third way is to connect your Roomba with Amazon Alexa or Google Assistant to use voice commands. Regardless of which of these three ways you use, you can basically tell the vacuum to start and stop. The Roomba 690 will then begin cleaning and find it’s way pretty randomly around the house. The only way of controlling the areas the robot vacuums is the virtual barrier wall that comes along with the product. The Roomba 690 comes with one Dual-Mode Virtual Wall Barrier, which is basically what sets it apart from the Roomba 650. It is a small device you can place on the floor, and it will block a linear path up to 10′ long or a radial area up to 4′ in circumference. This is a great way to block one room or area you don’t want the robot to access. It can give your pets the privacy they need if they are uncomfortable with the robot vacuum, or you can block areas with your pet’s water bowls or kids toys. Having some kind of barrier is a big plus, but we do have to criticize the fact that adding barriers with this kind of physical device is not very flexible. That being said, you can add more virtual wall barriers if you need to by buying more devices, but that does, of course, add to the cost. Like the 675, the Roomba 690 also comes with High-Performance AeroVac filter. It is not quite as effective as the previous system Roomba had, however, it still is a high-quality filter, and although the system is not sealed, it does filter out even microscopic particles. The cleaning performance of the Roomba 690 relies on three features: Dual Multi-Surface Brush, Edge-Sweeping brush and strong suction. When you turn the vacuum around you will find two separate brush rolls: one with blades another one with bristles. The flexible plastic blades are designed to loosen the dirt on even the tough surfaces like high-pile carpets. The second brush roll will then pick up all the dust and dirt for the strong suction to pull in. This type of brush roll with bristles if not the most effective, but it does make a lower price point possible. Our tests show that the rubberized brush roll in the more advanced (and more expensive) Roomba models like the i7 does perform better. However, users are pleased with the performance on the Roomba 690, and if you’re not looking to invest a lot of money in your robotic vacuum, the price-quality ratio is excellent here. The cleaning head automatically adjusts its height to adapt to different surfaces. This way the brush rolls will firmly engage the surface even when moving from one type of surface to another. This feature has a positive impact on the cleaning results as will the side sweeper that enables the robot to reach those corners and edges. 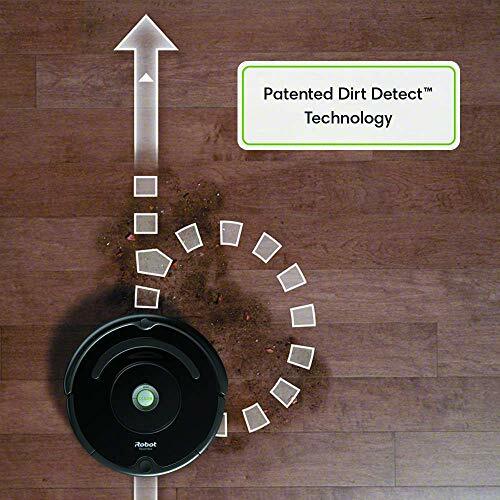 The 690 also has a DirtDetect feature which means the vacuum uses sensors to recognize high-traffic areas and spends some more time making sure those spots are thoroughly cleaned before moving on. All in all, although Roomba 690 is not the top dog when it comes to performance, it does still offer excellent cleaning results. Testing and user reviews verify that the vacuum does clean well, and the performance is more than satisfactory. Testing how Roomba 690 performs on different surfaces. 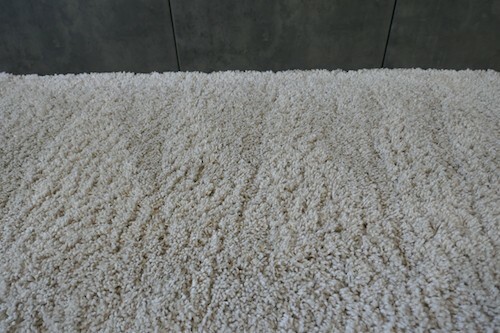 Here's a low-pile carpet, before the test. Maintenance is fairly straightforward and simple, but you should be aware that following the recommended maintenance schedule will add about 30 bucks in maintenance cost every year. The Roomba 690 is an excellent choice if you are looking for a lower midrange robotic vacuum with everything you need but none of the extras that would mean additional costs. It has wifi-connectivity, excellent performance, a HEPA filter, long runtime, and a virtual wall barrier. With all these essential features the price-quality ratio is fantastic when compared to other vacuums in this price range. Like all other robotic vacuums, it won’t completely replace your upright vacuum, but it will make your life quite a bit easier. Most people who ended up buying a robotic vacuum wish they had just bought theirs earlier. We all have a busy life, and we’d rather be doing something else than vacuuming. With a robotic vacuum like this, you will be able to cut down most of the vacuuming you have to do yourself and let the robot do the work for you. A cleaner home and less stress – who wouldn’t want that? Roomba 675 or Roomba 690? Which Roomba to buy? Roomba 690 is more expensive, but it comes with a virtual barrier wall that is not included with the Roomba 675. If you need to block delicate objects or you have an area you don’t want the robot to access, Roomba 690 is the obvious choice because the 675 does not come with a Virtual Wall. See the latest price here. However, if blocking a particular area is not essential to you, and you are on a tight budget, you can save a few bucks by choosing the Roomba 675. See the latest price here. However, the 675 is compatible with the Dual Mode Virtual Wall Barrier which means you could start with it and add a virtual wall later on if you feel you need one. 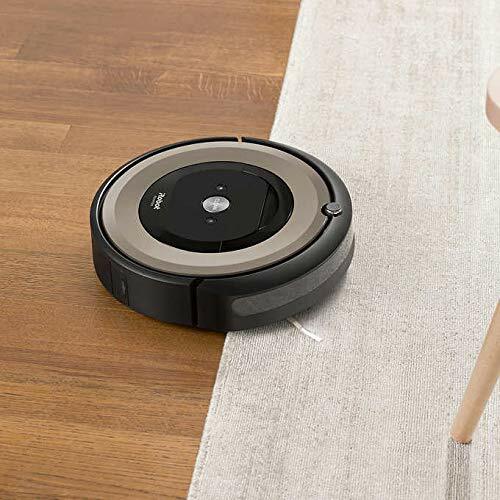 Roomba e5 has the basic features like wifi connectivity, virtual wall barriers, scheduled cleaning and long runtime plus some extras such as better brush roll, larger dirt cup, 5 times the suction and a High-Efficiency Filter – excellent additions for a pet owner. The e6 is basically the same product, but with 2 virtual wall barriers instead of one, and one extra High-Efficiency Filter. It’s an excellent deal only available at select retailers. This vacuum offers excellent performance, smart home capabilities, and an upper mid-range price. It seems like e5 is replacing the 800 series vacuums as a midrange option between the highly advanced 900 series and the lower budget 600 series vacuums. 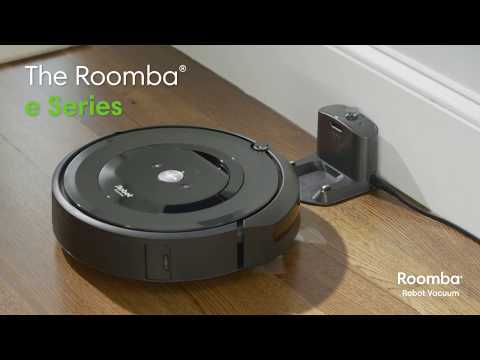 Compared to Roomba 600 series, the e5 is a slightly more advanced product. It has advanced mapping, better filtration, larger dirt bin, and advanced brush roll technology. On the other hand, the e5 is not as advanced as the 900 series vacuums or the new i7. It doesn’t have the self-emptying feature or smart mapping. It will remember where it has cleaned, but because it can’t map its surroundings, you cannot direct it to clean a specific area. On the other hand, it has many of the same features like Dual Multi-Surface Rubber Brushes and Advanced AeroForce filter. It also has a longer runtime of 90 minutes compared to the 75 minutes of 960 and i7. Although the e5 sounds like a tempting midrange option, we would mainly recommend it to pet users as opposed to the 675 or 690. Many users will probably be just as satisfied with one of the 600 series vacuums without paying the extra money. But for pet owners (or families with kids) the extra features are probably worth the cash. Better suction, larger dirt bin, advanced brush roll, and more efficient filtration make sure you get the level of clean you need in households with animals or children - and make e5 the best Roomba pet vacuum. 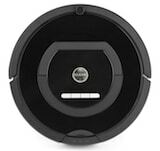 The Roomba e5 has the same round and sleek design we are used to seeing in Roomba vacuums. It has a convenient handle for carrying, three buttons on top and a soft bumper to protect furniture at your home. The Roomba e5 comes with a 1,800 mAh lithium-ion battery that enables a runtime of 90 minutes. The vacuum does not have the Charge & Resume function, which means that larger homes could benefit from a from picking one of the more advanced vacuums that have this feature. When the battery runs out, the e5 finds its way back to the Home Base for charging. Reaching a full charge takes 2-3 hours, which is fairly standard. The Roomba e5 uses the iAdapt 2.0 navigation system which is more advanced than the Adapt 1.0 in the 600 series but not as high-tech as the Adapt 3.0 used in the i7 and 960 robots. It uses memory mapping to remember obstacles, doors, walls, and furniture, but it can not map its surroundings or create a floor plan. This means you it can’t be ordered to clean a specific room or area. It does, of course, have the spot cleaning function, which means you can put the robot down on a certain spot and it will go through that area in circles until it has been cleaned. But unlike the best iRobot vacuums, it cannot be directed to vacuum a particular room. The e5 has wifi-connectivity, and therefore it can be controlled with the iRobot HOME application on your smartphone. You can use the app to manage the vacuum and to schedule cleanings. If you run into problems with your robot, you can also contact support through the app or watch videos related to maintenance. The robot is compatible with Amazon Alexa and Google Assistant which means it can be controlled with voice commands. You can give out orders like ”Alexa, ask Roomba to start cleaning” and your robovac will start vacuuming without you having to lift a finger. How awesome is that? You have basically three ways to control the Roomba e5: the physical buttons in the robot, the application on your smartphone or voice control if you have Google Assistant or Amazon Alexa. The first and most basic option is to control your vacuum using the buttons on the top. 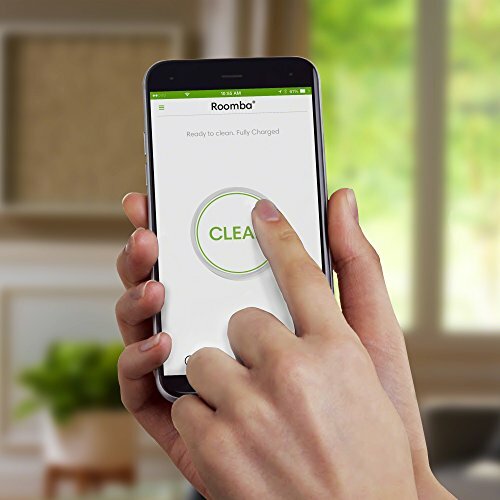 With these three buttons, you can start, stop and pause cleaning, use spot cleaning mode to clean a specific area, or use the home button to send the vacuum to its home base for charging. With the iRobot application on your phone, you can do the same things but remotely from where ever you are. Also, you can also schedule up to 7 vacuuming sessions per week and view the cleaning history. In this price range, a wifi connection is pretty much the standard nowadays. It’s worth noting though that iRobot vacuums have excellent wifi-connectivity and they rarely drop the connection unlike vacuums from a few other well-known brands. 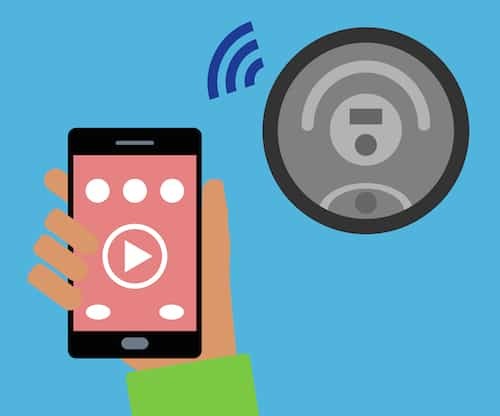 The third option is to use voice commands – that is if you have Alexa or Google Assistant at your home. This feature is a nice bonus, but many users tell us they prefer using the app because it’s just as quick and simple. Unlike the 960 and i7, the e5 does not have a system that would allow you to specify a room or area to be cleaned. Because it does not map its surroundings to make a floorplan, you can only ask it to start and stop. iRobot has a way of restricting areas, and that is the Dual Mode Virtual Wall Barrier. It is basically a device you can place anywhere in your home. It tells the vacuum where not to go, which can be vital if you have pets or areas like the kids' room that have clutter on the floor. The device creates invisible linear and radial lines the robot won’t cross. 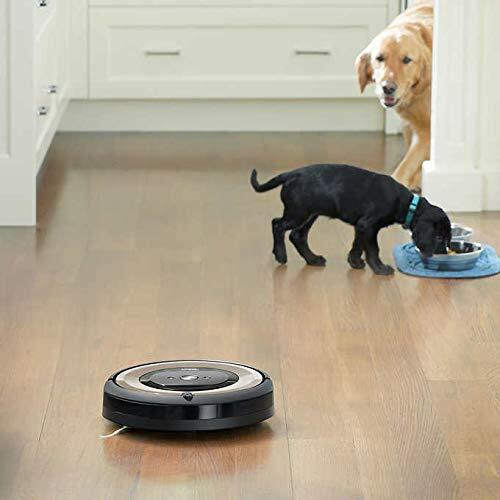 This is not the most flexible way of setting no-go zones, but if you’re looking for a Roomba for pets it enables you to keep the robot away from your pet’s food bowls. A possibility to add your pets water bowl, bed or litter box as a no-go zone is important because many pets can be afraid of the robot roaming around their home. These areas that are out of bounds for the robot give your pet the possibility to avoid the robot and feel safe. What sets the 45 apart from the 600 series vacuums is the HEPA level Advanced AeroForce filtration system that can capture 99% of cat and dog allergens. 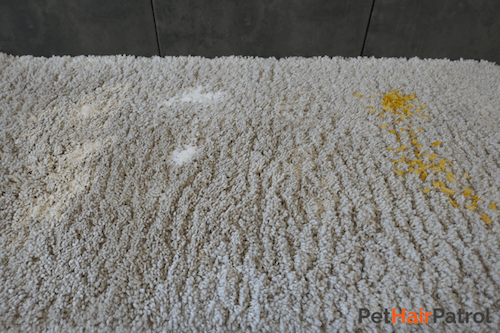 It is one of the reasons pet owners might find it a good idea to choose the e5 instead of the cheaper 675 or 690 vacuums. The filter is the same as the one in the more expensive iRobot Roomba i7. It is half the size without losing any of the performance. Another feature that sets the e5 apart from more affordable iRobot vacuums is the large washable dirt bin. The capacity of the container is 0.5 liters opposed to the 0.3 liters on 675 and 690, which will make a considerable difference in homes with pets that shed a lot. 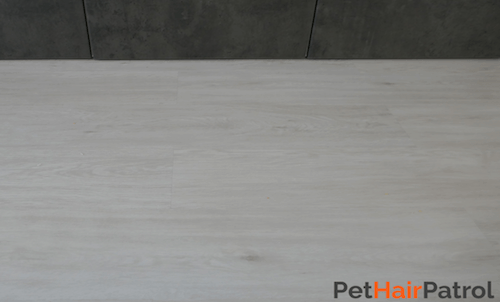 This vacuum is ideal for pet homes because it uses a 3-stage cleaning system to pick up dirt, hair, and allergens. The Advanced Dual Rubberized Brush, Edge-Sweeping Brush, and strong suction work together to offer fantastic cleaning results. It has five times more powerful suction than 675 and 690, which means it is able to pick up more dirt and dust. It also has an advanced brush roll system which is rubberized and therefore excellent for lifting up that persistent pet hair lodged into carpets. The two brush rolls rotate in opposite directions. The first one lifts up the dirt while the second one flings it up for the suction to pull in. The grooves on the surface of the brush roll are specially designed and make it more efficient than the one on lower range Roomba robovacs. The cleaning head also automatically adjust to the surface allowing the robot to move from one type of surface to another without losing firm contact with the floor. The e5 also has the DirtDetect feature which enables it to recognize high-traffic areas to spend more time cleaning them. 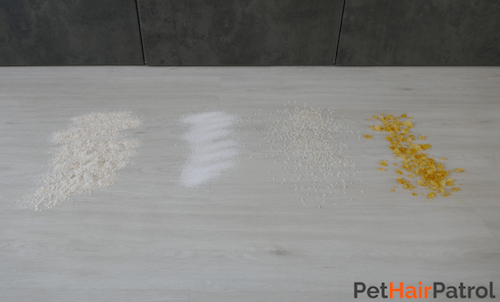 This can be very useful if you have pets or kids that tend to make a mess in the hallway and kitchen. We tested how Roomba e5 performs on different surfaces. Maintenance is relatively easy and straightforward, but you should be aware that following the recommended maintenance schedule will add about 35 bucks in maintenance costs every year. If you have pets and you’re looking for a Roomba for pet hair, you are likely to benefit from the additional features the e5 has in comparison to the lower range 675 and 690 iRobot robotic vacuums. Many of the functions and features are the same, but the e5 does come with better filtration and brush rolls, larger dirt cup, stronger suction, and more advanced navigation. When looking for a Roomba for dog hair the size of the dirt bin can be very important. If your dog sheds a lot, a small dirt bin can fill up quickly clogging the suction. The 600 series vacuums (and 960) only have a dirt bin of 0.3 liters when e5 and i7 have smaller but just as effective filters that allow for a larger 0.5-liter dirt cup. That said, if you’re on a tight budget you could probably do with one of the cheaper Roombas iRobot has to offer. Just remember, that you are investing in an appliance that will make your life easier every single day for many years. If you’re on the fence about which vacuum to choose, it’s probably wise to invest a bit more to have a robotic vacuum that truly fits your individual cleaning needs. This Roomba is the perfect choice for pet homes, but it is also a nice midrange option for those that don’t want the most basic model but aren’t ready to splurge on one of the high-end versions. It has everything you need a well-functioning vacuum to have plus some nice bonuses. Ok, so we have gone through the budget and the midrange options. Next, it’s time to have a look at the top dogs. 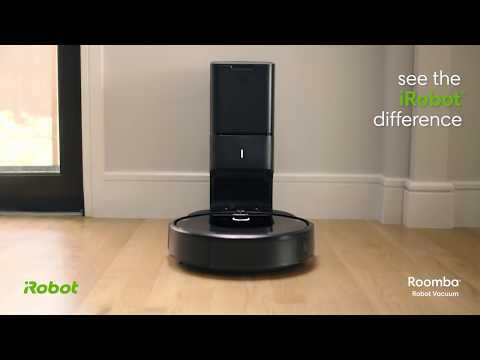 Roomba 960 and i7/i7+ are the most advanced robotic vacuums from iRobot. They come at a pretty high price, but they also have the features to match. If you’re looking for the best of the best and you don’t want to settle for anything less, keep reading. 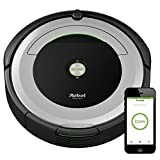 Recommended for someone: looking for a high-end vacuum but not interested in splurging on the leading i7 Roomba vacuum. The Roomba 960 is the latest model in the iRobot 900 lineup – a series that used to be the cream of the crop in the robotic vacuum category. This vacuum is still an excellent choice with features that give rivals a run for their money, but iRobot has once again taken the competition to another level with their i7 model leaving 960 just a tad below in rankings. i7 offers stronger suction, automatic dirt disposal, Imprint Smart mapping and customizable cleaning preferences – all of which the 960 lacks. On the other hand, Roomba 960 is a step up from the e5 vacuum bringing smarter navigation and the Charge&Resume feature into the game. What it means is that the 960 is somewhere in the middle between e5 and i7 – in features as well as regarding price. If you’re looking for the ultimate robotic vacuum, you should go for the i7. But, as iRobot is probably slowly fading out the production on 960, you might be able to get an excellent deal and save some cash. You can see the latest price here. Again, the circular design is smart and polished like we are used to seeing in Roomba vacuums. All of their vacuums look pretty much alike with the handle for carrying on the top. Only colors and small details vary in each model, like the onboard camera that is placed on top of this 960 vacuum. The Roomba 960 has a powerful 2,600 mAh lithium-ion battery that gives it a runtime of only 75 minutes, but when it runs out of battery it automatically returns to the home base for charging and also automatically resumes vacuuming once the battery is full again. The charging time for a full charge is 2-3 hours. 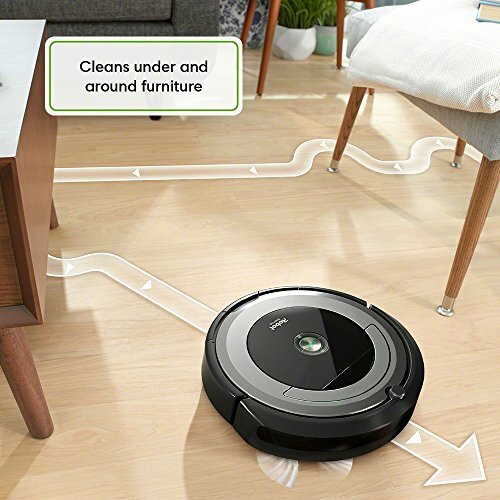 With Smart Mapping and vSLAM (visual simultaneous localization and mapping) technology, the Roomba 960 robot vacuum navigates the home and keeps track of where it’s been and which areas still need cleaning. 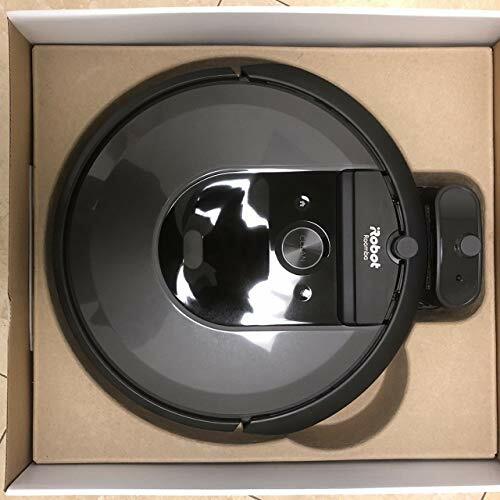 This vacuum uses an onboard camera and the Adapt 2.0 navigation system, which is not the most advanced system from iRobot, but still better than the one used in the 600 series robots. It allows for the robot to clean the area efficiently, but because there is no Imprint Smart Mapping feature you can’t order the robot to clean a specific room or area through the application like you can with the i7. The onboard camera allows the robot to spot obstacles which result in less bumping. In addition, the sensors detect dirt and give a more thorough cleaning for areas that need it. The 960 is able to keep track of its location and map its surroundings to plan its cleaning path. The system also offers digital map reports that show you where the robot has vacuumed during the cleaning cycle. It’s a pretty advanced navigation system, but this type of systems are starting to be the standard in robotic vacuums. If you don’t mind spending a bit more, the advanced navigation system of the i7 opens up some very convenient ways of controlling the vacuum. The Roomba 960 has wifi connectivity, which you would expect in this price range. You can connect your robot to the internet and control it remotely by using the application on your smartphone. The iRobot HOME app is very easy to set up, and you can use it to contact the support and watch maintenance videos as well as controlling the vacuum. It allows you to schedule up to 7 vacuuming sessions each week and also to view the cleaning history. The robot is compatible with Amazon Alexa and Google Assistant which means it can be controlled with voice commands if you have the speakers for that. Like all other Roomba vacuums, the 960 too can be controlled in a few different ways. You can use the physical buttons on top of the vacuum to give basic commands like start, stop and return to home base. You can also place the robot wherever you need to and start the spot cleaning cycle. The robot will then move in a circular motion until the area has been cleaned. The most popular way of controlling the vacuum is, of course, the application on your smartphone. The app is easy to set up, and it allows you to start a cleaning cycle remotely from where ever you are. Being able to do that is very convenient because most people prefer the robot to clean while they are away at work. You can also use the application to schedule cleaning and to view the cleaning history. The third way to control your robot is to give voice commands through Amazon Alexa or Google Assistant. 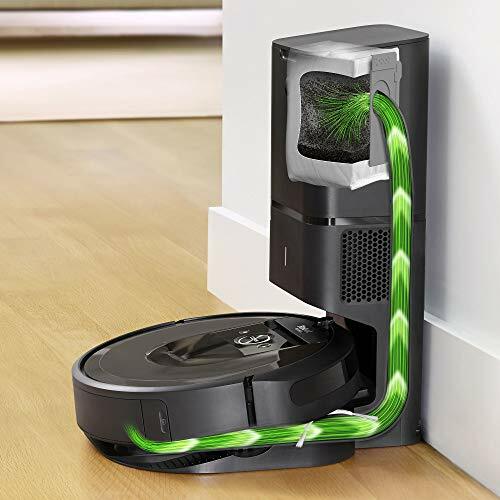 To restrict the vacuum from going to certain areas, Roomba 960 comes with one Dual-Mode Virtual Wall Barrier. This is a device you place on the floor to create invisible walls the robot won’t cross. If you want the robot not to clean one room, you can use a linear fence to block the doorway. Or, if you want the robot to stay away from your pet’s water bowl, you can use the halo mode to create an area around the device which the robot won't enter. Roomba 960 uses the older iRobot AeroForce filter. This is a high-efficiency filter made of a material that can capture 99% of dust, mites, and allergens as small as 10 microns. The filter is better than the one used in 600 series vacuums, but not the same filter that comes with i7 and e5. The difference between the newer AeroForce filter is basically just size. In e5 and i7 it's is only half the size without losing any performance. This allows for a larger 0.5-liter dirt cup instead of the smaller 0.3-liter dirt cup we see on Roomba 960. Another notable difference is the fact that 960 does not have a washable bin like e5 and i7 models. Having a container that can be rinsed makes maintenance easier, and it might be a beneficial feature in many households. Like the e5 Roomba 960 comes with ”5x the air power” when compared to Roomba 675 and 690. The 3-Stage AeroForce cleaning system uses this powerful suction in addition to Dual Multi-Surface Rubber Brushes and a side sweeper to lift up all dirt and debris. The brush rolls are rubberized which makes them incredible at picking up pet hair. They rotate in opposite directions with the first brush roll agitating and lifting up the dirt while the second brush roll picks it up for the suction to pull in. The 960 also uses the advanced Dirt Detection System to recognize areas with more dirt to clean and gives these spots a more thorough vacuuming. We tested Roomba 960 on hard flooring, as well as low-pile and high-pile carpets. This picture was taken before the test. Our test confirms that Roomba 960 is a solid performer on different surfaces. Maintenance is fairly straightforward and simple, but you should be aware that following the recommended maintenance schedule will add about 35 bucks in maintenance costs every year. The Roomba 960 ranks somewhere between the e5 and i7. 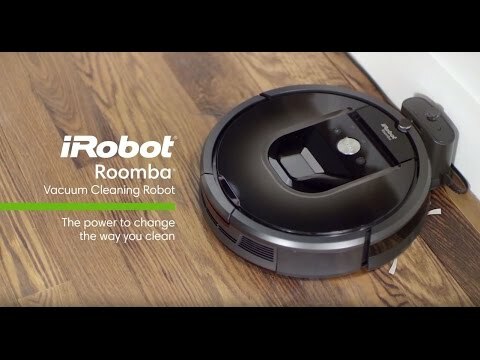 Since it is an older release, we suspect Roomba will be fading out the production of this product and concentrating on the ”e” and ”i” series. Knowing this may affect your decision on which vacuum to buy. You may be able to get a good deal for the 960, but spec-wise it might be a good idea to pick between e5 and i7 since they offer the newest technology. Navigation and mapping are continually developing, and even many midrange vacuums are starting to offer advanced features. If you are looking for a high-end robotic vacuum with premium features, then coughing up the extra money for the i7 is a good idea. That said, Roomba 960 is a great top-end robotic vacuum with praising reviews. It has excellent performance and most of the bleeding edge technology from Roomba. Recommended for anyone looking for an outstanding first-rate robovac. The only difference between i7 and i7+ is the Advanced Base with the self-emptying feature which is why we will be reviewing them together. The i7+ comes with the Advanced Base while i7 is just compatible and you can add the base later on if you feel you need the upgrade. If you want a high-performing robotic vacuum that requires minimal effort from your part, the i7+ should be your choice. If, on the other hand, you feel like you want fantastic performance and features, but you don’t mind emptying the dirt bin yourself, you can save quite a few bucks by picking the i7. The i7+ is a top class robotic vacuum. It comes at a high price, but the features are incredibly advanced. With the Imprint Smart Mapping feature and self-emptying base that empties the vacuums dirt container by itself for up to 30 times, it’s almost completely a hands-off solution for vacuuming. The Roomba i7 has a powerful 1,800 mAh lithium-ion battery that gives it a runtime of 75 minutes with one charge, but it has a Charge & Resume feature which enables it to return to its Home Base for charging and to continue cleaning once the battery is full again. It can do this three times, which adds up the total cleaning time to 225 minutes. The ability to resume cleaning is very convenient for larger houses because you don’t have to worry about the vacuum running out of battery while cleaning. This feature is something most on the cheaper robot vacuums don’t have because they lack the ability to map and track where they have already cleaned. It takes 2-3 hours for the vacuum to juice up. The Roomba i7 and i7 plus use a navigation technology called the Imprint Smart Mapping. It enables the vacuum to map its surroundings and draw a floor plan of the home. You can also name areas on the floor plan and ask the robot to clean a specific room or rooms. This is the most advanced mapping system from iRobot. The e5 uses memory mapping which allows it to remember doors, walls, large furniture, and other obstacles. The i7, however, uses the Imprint Smart Mapping to draw digital maps and floor plans and allows you to name areas as rooms like the kitchen or bedroom. With this function, you can ask the robot to clean only specific areas like the kitchen and hallway. The i7 vacuum was wifi connectivity, which you would, of course, expect in a high-quality product like this. It allows the vacuum to be controlled remotely using the iRobot application on your smartphone. You can also use the app for scheduling cleaning session and asking the vacuum to clean certain rooms or areas. The i7 is also compatible with Alexa and Google Assistant. Like all other Roomba vacuums, you can control the i7 in a few different ways. The physical buttons on top of the vacuum enable you to give it basic commands like start, stop, spot clean and return to the base. You have the same functions in the application added with scheduling, cleaning reports, clean or schedule by room feature and customizable cleaning preferences. 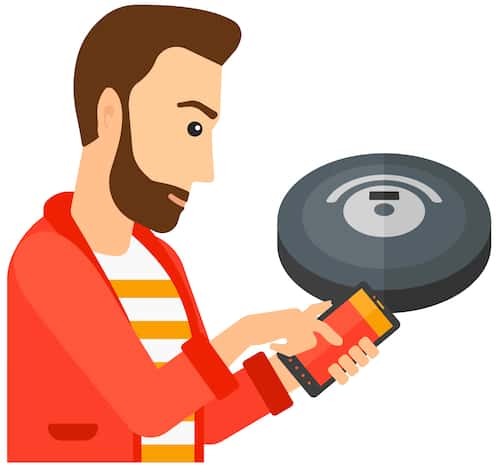 The app is easy to use, and with the i7 navigation abilities it brings many useful possibilities to the table and allows for more flexible and customizable use of the robot vacuum. This flexibility is worth paying for. Most robotic vacuums still only start and stop cleaning, and slowly this type of improvements are reaching even lower midrange vacuums. The option of using the robot to vacuum only a part of your home is very convenient: why clean the whole house when the kitchen and hallway are dirty? If you have the speakers for Alexa of Google Assistant, you can also use voice commands to control the i7 vacuum. 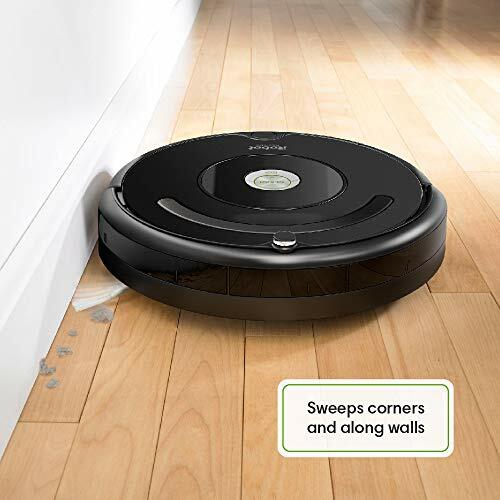 Like all other Roomba vacuums, the i7 uses physical devices called Dual Mode Virtual Wall Barriers to set no-go lines for the robot. You can ask the vacuum to clean specific rooms, but when you are using it to vacuum the whole house you can’t set these lines virtually on the app. Instead, you have to place one of these devices on the floor to create an invisible line or halo to restrict the robot from entering that area. The i7 uses the Advanced AeroForce filter (HEPA) filter which will capture 99% of dust, mites, and allergens as small as 10 microns. It also allows room for a large 0.5-liter washable dirt. But what is really interesting and sets this vacuum apart from all other robotic vacuums on the market is the self-emptying Advanced Base. For all other robovacs the base is purely meant for charging the battery, but for i7 it also offers the opportunity for the base to empty the dirt cup of the vacuum. With this feature and advanced navigation and mapping, you can basically leave the i7+ to clean independently for more than a month at a time. The only difference between i7 and i7+ is this base. The i7+ has a higher price tag, and it comes with the Advanced Base included. The i7 only comes with the traditional Home Base for charging, but it is compatible with the new base, and you can buy it later on if you want the upgrade. The Advanced Base uses suction to empty the dirt bin once the bin is full and the vacuum finds its way to the dock. It uses disposable bags that can hold up to 30 full loads of dust and dirt from the i7 onboard dust bin. This new innovative feature is something many people have been waiting for. This function allows the vacuum to work independently for long periods at a time without you having to spend time on maintenance. 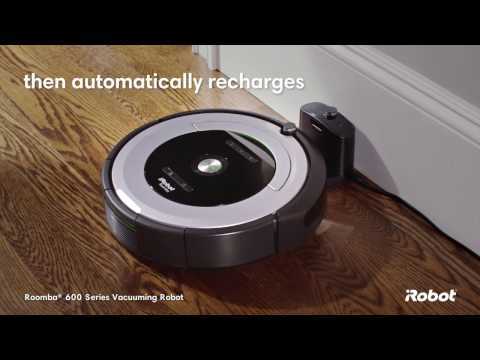 iRobot is the first brand to bring this innovation to the market. Others will probably follow soon, but for now, this is the only self-emptying robotic vacuum available. 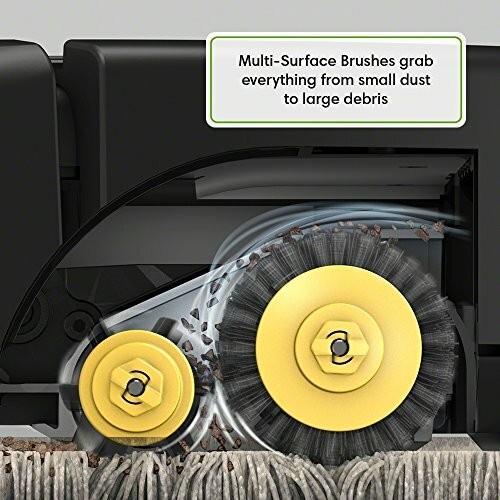 Like the e5 and 960, Roomba i7 also uses advanced dual rubberized brush rolls. The two rollers rotate in opposite directions with the first one agitating the dirt and the second one driving into the suction. The specially designed grooves on the surface make the system extremely efficient on all surfaces and offer fantastic cleaning results. What sets the vacuums apart from all the other Roomba models is the strong suction that is 10 times stronger than the suction on 675 or 690. 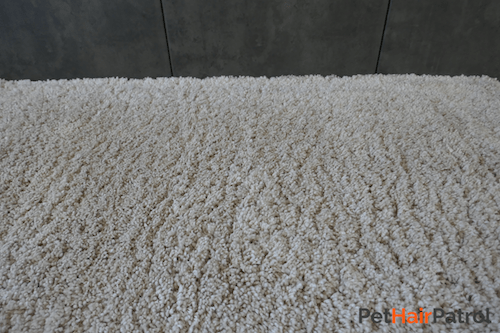 It offers better cleaning results and can be a very beneficial feature for households with carpeting or large area rugs. Also, the robot uses the advanced Dirt Detection system to identify areas that are dirty and need a more thorough cleaning. 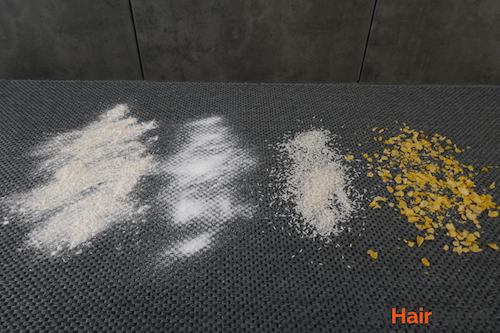 High-pile carpets put robot vacuums in a real test. However, the cleaning results of Roomba i7 were stellar. This is the recommended maintenance schedule, that will add about 35 dollars of maintenance costs every year to keep your vacuum in top shape. If you have the Advanced base, you will have to add the small cost of disposal bags as well. The i7+ is the best of the best, crème de la crème. Right now it’s the top robotic vacuum on the market with the most advanced features and functions. It’s the same vacuum as i7, but with the added benefit of a self-emptying charging base. What says a lot about this vacuum is that there really is very little to criticize. It offers fantastic cleaning performance combined with advanced features that let you almost completely forget about vacuuming. It’s the ultimate robovac. Roomba i7 vs. Roomba i7+? Which one to pick? The only difference is really that the i7+ has the Advanced Base included while the i7 is only compatible and you can add the self-emptying base later on if you want to. You have to decide whether having the vacuum empty itself 30 times before you have to change the disposable dust bag is worth the extra bucks for you. Compare the price difference of these two by clicking here and here. Roomba 960 vs. Roomba i7? Which Roomba to buy? If you want a high-quality product that functions well, but you don’t necessarily need the bleeding edge technology, you could pick Roomba 960. You might get a good deal since it is an older release. If, however, you are looking for the best there is with all the bells and whistles, you should opt for the i7. It has the most advanced navigation and features. Roomba 960 vs. 980? Which one to pick? Roomba 980 robot vacuum is definitely the winner if you compare these two products against each other. It has a longer runtime, carpet boost mode, two virtual walls, and better overall performance. But. These vacuums are not from the newest iRobot lineup and Roomba will we be discontinuing their production at some point. The advantage is that you could get a nice discount for the 980. But the disadvantage is that the vacuum does not have the most advanced technology and although it used to be the best robotic vacuum from iRobot, the Roomba i7 model is now the top dog. If you get the 980, you’re not getting the best features out there, but it still is a great vacuum anyway. You can find our review on Roomba 980 here. We hope this iRobot model comparison has helped you compare Roombas to find the one that suits your needs best. Runtime - how large is your home? 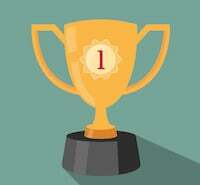 Is the runtime enough? Does the robot need to resume cleaning automatically? Brush roll - can you settle for the basic brush roll or do you need the advanced rubberized brush roll because of pets or kids? Virtual walls - do you need to restrict areas of your home or give your pets privacy? Navigation - Smart Imprint Navigation opens up fantastic possibilities to control your robot and to customize your cleaning preferences. Do you want the convenient hands-free experience or do you want to skimp on the price and get only basic navigation? The Roomba differences table will help you find the best Roomba model for you. However, as this Roomba model comparison article shows you, all vacuums in the current line-up are worth their price and a good investment if you're trying to ease the load of doing chores at home. For more than 25 years iRobot has been the pioneer of developing consumer robots. They were founded in 1990 with the vision to make home robots a reality. Today, they are the leading global consumer robot company, and they have sold more than 20 million robots worldwide. They are all about innovation and technological exploration to produce practical and useful robots that enable a smart home. 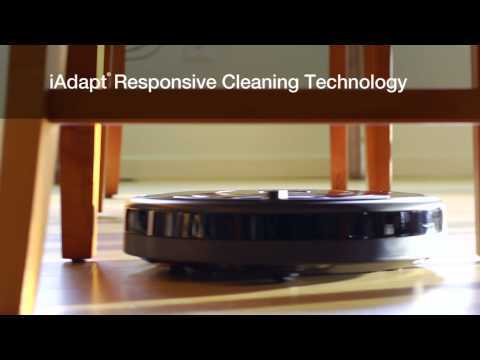 Currently, they design and manufacture Roomba vacuuming robots, Braava mopping robots and Mirra pool cleaning robots. iRobot is a well-known manufacturer of robotic vacuums, and their products are considered to be technologically advanced, functional and high-quality. Neato vs. Roomba. How does Neato compare to Roomba? Neato is known for its D-shape vacuums that can easily reach corners when vacuuming. The shape also allows for a broader brush roll which makes vacuuming more effective. Roomba has resolved the problem of cleaning corners with an Edge-Sweeper that has long bristles. In Roomba vacuums, the side sweeper is standard, but only mid and upper range Neatos have this feature. Roomba uses devices called Virtual Wall Barriers to restrict the robot from entering certain areas. 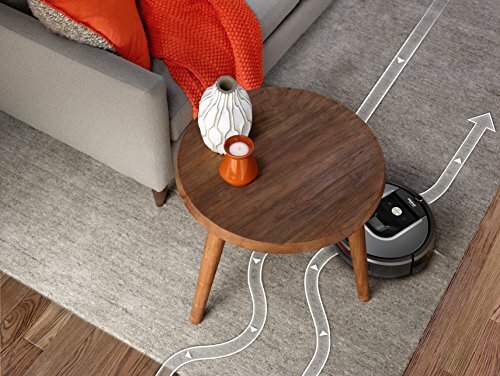 This type of physical device is not the easiest or most flexible way to set barriers, but most Roomba robots are compatible with this device. Neato, on the other hand, uses virtual No-Go lines you can draw on their app. This is a great way to create no-go zones and quite a bit more flexible than physical beacons. These two aspects are what mostly differentiate between the products from each brand. They have smaller differences as well, but when you are trying to decide whether to get Neato or Roomba, you really have to have a look at the products individually. Scroll up to take a closer look at different Roomba models and check out our review on Neato D6 to see what they have to offer. Which Roomba is best? What is the best Roomba to purchase? Which is the best Roomba and where do I buy it? Right now the i7+ is the best robotic vacuum on the market, hands down. It has highly functional features and engineering, and it beats every other robovac in performance as well as usability. It even empties itself! If you can stretch your budget, this is definitely the best of the best. But the reason we have all the current Roomba models compared is that not all people want the top choice which is also the most expensive product. Many people are willing to settle for less, as long as the vacuum is functional and it offers excellent value for the money. The Roomba models comparison shows that all the vacuums have their pros and cons. You just need to decide what you need and want. Is the high-end i7 with the hefty price tag the right one for you? Or do you just need the 675 with the basic features and a reasonable price? We recommend buying online on the Roomba website or Amazon. You get the product delivered on your door-step and 30-day money back guarantee. Right now the best Roomba for pet hair the Roomba e5. If you’re looking for the best Roomba for pets and you don’t want the most expensive model i7, then you should go with the e5. We are often asked what is the best Roomba for cat hair or what is the best Roomba for dog hair. It really doesn’t matter what type of pet hair you have, but you need to have certain features on the vacuum, and the e5 has them all. 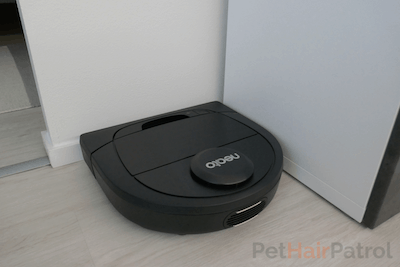 Because the e5 has all these features, it is the best Roomba for pets. How well does a Roomba clean a room? Because the robot cannot move furniture, it cannot get into small spaces. Also, depending on your furniture and cabinets, it might not fit under them. Because a robotic vacuum always leaves small nooks and crannies unvacuumed, it won't completely replace vacuuming done by a human. Owners of robotic vacuums estimate that a high-quality robovac can handle somewhere between 70-95 percent of the vacuuming depending on your home and cleaning needs. If your home is decluttered and the Roomba can access most areas, it can take care of up to 95% of all vacuuming that needs to be done. You may need to grab the vacuum only occasionally. For bare floors the Roomba cleaning results are excellent, and for carpets, they are pretty good too. 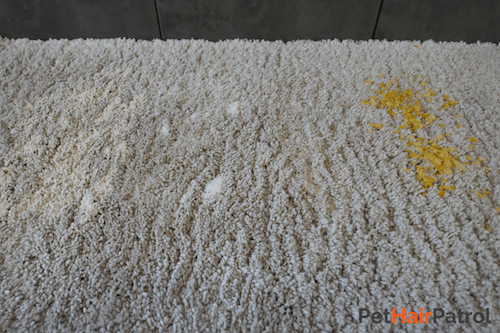 Of course, if you have thick high-pile carpets, you may need to give them a thorough cleanup a few times a year. All in all a Roomba can take care of most of the upkeep cleaning while you just do a more thorough one every now and then. Is a Roomba worth it? "The only thing I wish is that I got my Roomba earlier. I have such a busy life, and I hate vacuuming. There are no words to describe the feeling of relief when I run out the door in the morning and know that Roomba will take care of all the bread crumbs on the floor while I'm gone. I think everyone should get a robotic vacuum because I don't know anyone who has regretted getting one." Why should I choose a Roomba? In general iRobot Roomba robotic vacuums are considered the most advanced and as having the highest quality. They are regarded as top-notch robovacs with excellent features, functional navigation, and fantastic performance. Any of the Roombas currently on the market are excellent choices if you’re looking for a robovac, but of course, you need to consider your individual needs to find the one that is most suited for your home. Is Roomba good for hardwood floors? Yes, all the models in the current Roomba lineup are ideal for hardwood floors. The more basic models like 675 and 690 have the Dual Multi-Surface Brush with blades and bristles that engage hardwood floors firmly giving a good cleaning result. The more advanced models come with a dual rubberized brush roll system that is also great for hardwood floor and gives an even better cleaning result. All in all, we can highly recommend a Roomba for anyone with hardwood floors. It will keep those floors clean and dust-free while you sit back and relax. iRobot recommends you replace the battery every 18-36 months, but it depends on how often you use the vacuum. Each charge cycle decreases the lifetime of the battery by a little bit. Therefore, if you use your robot twice a day it has a shorter lifetime than if you only vacuum once a week. Can Roomba clean multiple levels? Yes, the Roomba can clean multiple levels, but since it doesn’t climb stairs you have to carry it from one floor to another. iRobot also manufactures mopping robots, and the lineup is called Braava. You can find more details and user reviews on Braava robotic mops here. But right now they are not manufacturing a Roomba vacuuming robot with the mopping feature. Do you need the Internet for Roomba? / Do you need WiFi for Roomba? / Can you use Roomba 690 without WiFi? No. If you want you can start a cleaning cycle by pushing one of the buttons on top of your Roomba. You can use another button to tell the robot to go back to Home Base. Without the internet and a smartphone, you can not connect your Roomba with the iRobot HOME app. You will be able to use the robot for vacuuming, but you can’t use additional features like scheduling, mapping or viewing the cleaning history. What is an iRobot Virtual Wall? It is an invisible barrier the robot won’t cross. With this feature, you can protect delicate items and prevent the Roomba from going to certain rooms or areas. It is a perfect way to give your pets the privacy they need or to protect the Lego castle which is being built in the corner of the kid’s room. Actually, the virtual barrier is a device that comes along with some of the Roomba models. You can place in on the floor, and it will block a linear path up to 10′ long or a radial area up to 4′ in circumference. How do I open the iRobot Virtual Wall / Virtual Wall Lighthouse? The virtual wall mode, which completely blocks off areas you don’t want your robot to access. The lighthouse mode, which acts as a gate and automatically blocks and opens certain areas during the cleaning. You can place the device in on the floor, and depending on the mode it will block a linear path up to 10′ long or a radial area up to 4′ in circumference. How do Roomba vacuuming robots work? For a robotic vacuum to do a good job, it needs to clean well but also to navigate the home effectively. It has to have sensors that guide its way through the house and around the furniture. It also has to have a powerful suction and brush rolls that lift up the dust and debris. I don’t have a smartphone - will the robot work without the iRobot HOME App? Yes, all of these robots will work without the app. You can start the cleaning with the start button on the robot, but you will get most out of your investment and have the best cleaning experience when using the app. 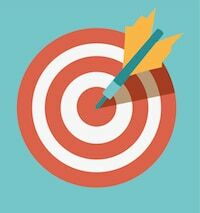 If you don’t use the app, you won’t be able to schedule cleanings, customize cleaning features or receive mapping reports. Is it comparable to my upright vacuum? Especially if you buy one of the better models, it does come pretty close, but it won’t completely replace your upright vacuum. There will be places your Roomba can’t access. It does navigate its way around furniture, but of course, some nooks are too small for it to go into. Also, it doesn’t deep clean plush carpets as some professional upright vacuums do. It does vacuum under furniture which is often one of those spots you wish you could skip when vacuuming. Also, with a robot maintaining the cleanliness, you won’t have to vacuum as often. If you’re extremely busy, but you want your home to be clean at all times, a robovac is the solution. Just tell your robot to vacuum while concentrating on more important things yourself. Can a Roomba clean all types of surfaces? Yes, the Roomba will automatically adjust the height of the cleaning head to keep the brush rolls in firm contact with the surface. It has two brush rolls: one with blades and another with bristles. Together these two brush rolls enable the vacuum to adapt to all kinds of surfaces.